Important BAE Systems/Rheinmetall JV….PLUS.. Mirror Article on Side-Lined RAF Aircraft Capacity By Howard Wheeldon, FRAeS, Wheeldon Strategic Advisory Ltd.
With maintaining sovereign capability rightly now being considered as crucial to the future of UK defence it is very pleasing to see that BAE Systems and Rheinmetall announcing this morning that they have signed an agreement to create a large UK based land systems joint venture. 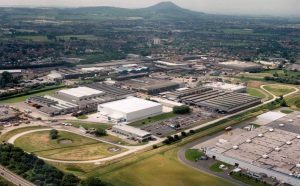 The planned Joint Venture is built around creating a joint UK based military vehicle design, manufacturing and support business operation headquartered at BAE Systems’ Telford facilities. The JV will not only sustain over 400 existing UK jobs and provide scope for future expansion of the operation but importantly, retain key UK based technology and engineering skills. Subject to regulatory approvals which are anticipated to be completed in the first half of 2019, the intention is that Rheinmetall will purchase a 55% stake in the existing BAE Systems UK based combat vehicles business, with BAE Systems retaining the remaining 45%. Once necessary approvals have been completed, the Joint Venture will be known as Rheinmetall BAE Systems Land (RBSL). In addition to managing and growing the existing combat vehicle support business, the intention is that the new Joint Venture company will play a major role not only in the delivery of the British Army’s new Mechanised Infantry Vehicle (MIV) plus other strategic combat vehicles programmes but also in design, development and manufacture of future combat vehicles for the UK and other international defence markets. While initially focused on major UK programmes, the new RBSL joint venture will form an integral part of the Rheinmetall Vehicle Systems Division and I understand that the intention is that the intention is to participate in and contribute to various global military vehicle pursuits and contracts. Importantly, the combination of Rheinmetall military vehicles technology and products with the additional capabilities and products brought to the Joint Venture by BAE Systems, such as Trojan, Terrier, Warrior, military bridging and the AS90 self-propelled artillery system, is intended to create a European market leader in the military vehicle sector. This is an excellent JV plan and one that should in my view be seen as not only providing the right way for BAE Systems to move forward in UK Land Systems equipment design, development and manufacture but also in that it provides a neat solution to many concerns expressed in relation to the vital importance of maintaining UK sovereign capability over such an important aspect of UK defence. In addition, I envisage that the RBSL joint venture will have the potential to create hundreds of additional UK jobs, both in Telford and the wider UK based supply chain. There is no doubting the commitment to this JV or the intention to substantially grow the Telford manufacturing facilities over the coming years. Under the agreement Rheinmetall will pay £28.6m for a 55% stake in BAE Systems UK based combat vehicles business. Rheinmetall Defence is a leading supplier of military vehicles and systems. The Rheinmetall businesses in the UK include Rheinmetall Defence UK (RD UK) and Rheinmetall MAN Military Vehicles UK (RMMV UK) both being well-established suppliers to the UK MOD providing support to the UK military in a number of areas, including vehicle systems, ammunition and technical assistance. BAE Systems have been engaged in the manufacture of combat vehicles and support business for many decades including Terrier and prototype BOXER vehicle. Predecessor companies that included Vickers had designed, developed and built the Challenger 2 Main Battle Tank and in the case of GKN Sankey, the large fleet of Warrior Armoured Personnel Carriers at what is now BAE System’s Telford site. With annual revenues c.£60 million and based at Telford along with sites located at Washington, Filton (Bristol) and the British Army Tank base at Bovington, BAE Systems Land Systems UK employs 400 highly skilled personnel assisting MOD and the Army maintaining and upgrade military vehicles and bridging systems. You may well have seen references this morning to a report published in the Daily Mirror from information obtained through a Freedom of Information request that the MOD has confirmed that from a suggested number of 434 aircraft no fewer than 142 are apparently ‘side-lined’ with the inference that they are unfit to fly. While I am not about to contest the figures as outlined by the newspaper article I do believe that it only right to place on record that in respect of Typhoon shortages part the reason that 55 of a reported number of 156 Typhoon aircraft are, in what is described as being the RAF’s ‘sustainment fleet’ [this being described as Typhoon aircraft that are either mothballed, undergoing maintenance or major upgrade within the Project Centurion programme) is because there are just not enough pilots to fly them. Before moving on I should add here that I had been under the impression that with 51 Tranche 1, 67 Tranche 2 and 40 Tranche 3 aircraft in the RAF inventory the total number of Typhoon aircraft of all type stood at 158 rather than the reported 156. I could well be wrong of course and the reason for disparity is possibly withdrawal of a couple of the early twin seat Typhoon aircraft that had been primarily used for training. It is important not to under estimate the importance of ‘Project Centurion’ which, as announced a week ago by the Secretary of State for Defence Gavin Williamson has been completed on time and on budget by BAE Systems. Designed to ensure that RAF Typhoon capability would on a like-for-like basis be ready to take over from RAF Panavia Tornado GR4 capability by the time of the latter’s out of service date on the 31st March 2019, Project Centurion has been about combining already-delivered Raytheon Paveway 1V precision-guided bomb plus other weapon capability with that of Storm Shadow, Meteor, and Brimstone on the Typhoon FGR4. The first phase saw aircraft being fitted with the Typhoon Phase 2 Enhancement (P2E) upgrade comprising Meteor and the Storm Shadow and later, the Phase 3 Enhancement (P3E) upgrade to include Brimstone. I am not sure what number is included for the soon to be out of service Tornado GR4 in the above FOI supplied figure of 142 aircraft currently side-lined or for that matter, the number of older stored Hawk T1 trainer aircraft or indeed, the soon to be out-of-service Tucano trainer aircraft that are included and this should not be lost when looking at the FOI supplied aircraft numbers. My point is that large headline numbers like this are set to confuse and frankly serve little purpose. That is not to in any way undermine my point about ensuring that we train sufficient fast jet pilots for the RAF and ensure that we have sufficient capability in respect of synthetic training capability and capacity together with aircraft available for actual flying training in order to do this. Notwithstanding the excellent work done at RAF Linton-on-Ouse by all those involved – both the RAF and by Babcock International in keeping the obsolete Tucano fleet flying, and also by all those at RAF Valley working with the Ascent Partnership, 1V Squadron and the newly stood up 25 Squadron, it is clear that, be this retention or other issues, we still have insufficient capacity to meet the needs for future fast jet training requirements. Finally, within the figure of 434 aircraft are the six remaining Sentry E-3D AWACS aircraft capability in service with the RAF and of which, due to years of under investment, at best only half that number and most often less than that are available to fly. The MOD has stated an intention to replace these aircraft, the first of which entered service in 1991, with more modern AWACS capability and that is was in talks with Boeing in relation to the possibility of acquiring E-7 Wedgetail. Delayed decision making by the MOD and tightness of cash accounts for why many of the aircraft referred to in the article are not currently fit for purpose or stored. Thankfully in respect of other ISTAR (Intelligence Surveillance Target Acquisition Reconnaissance) aircraft in service with the Royal Air Force such as Shadow, Sentinel and Air Seeker, all of which continue to provide the UK and our NATO allies with superb mission capability, we are very well placed. Even so, it is vitally important that investment in these and all these and other aircraft is not further delayed.